Just another example that I don't have finished last Sunday. 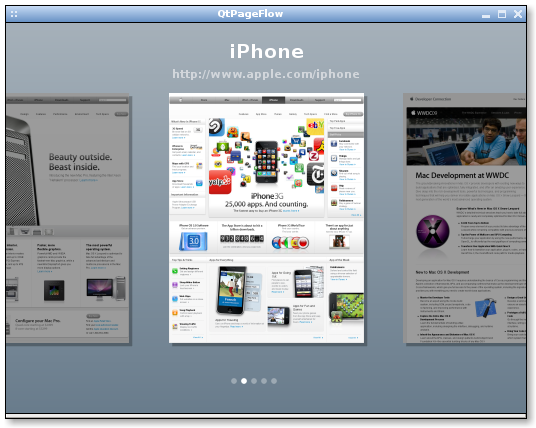 This is a simple widget that tries to be similar at the iPhone Mobile Safari Tabs Page. It's a really nice concept used also by Palm Pre to display the running apps. To switch item swipe left or right (Press Mouse Button, Move mouse in a specified direction and Release it). Source code is available here: Qt4 PageFlow Source Code.